The Goodlyf say it was unfair for the Authority to pay Diamond such a huge amount. The GoodLyf duo of Mozey Radio and Weasle say they will not perform at this year’s city carnival slated for October due to payment disparities. The duo say they were given a paltry Shs6 million while Tanzania’s Diamond Platinumz was given more than Shs100 million to perform at the coveted event. Speaking from their base in Neverland in Makindye, a Kampala surburb, Radio said the money they were given is peanuts compared to what Platinum got. “They gave us Shs6 million only and Diamond Platinumz got over Shs 100 million (20.000£) which is very unfair and such a direction is lowering our dignity, music and image,” Radio said. 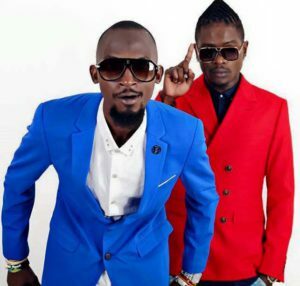 The duo think it was wrong for the Authority to pay Diamond such a huge amount of money, which even exceeds the amount that will be paid to all the Ugandan artistes slated to perform at the event. 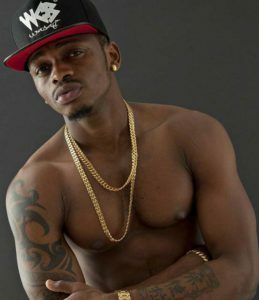 Diamond Platinumz has reportedly received over Shs100m to perform at the city carnival. Courtesy photo. PML Daily has learnt that the big Ugandan artistes who will perform at the event will each bag not more than Shs5 million. The duo, therefore, decided to forego the carnival as a sign of discontent. But our snoops have also learnt that the disparity in payment might just be an excuse because the duo are having a US tour from October 1 to October 14, a period coinciding with the carnival. The two will soon celebrate 10 years of collaboration in the music industry.